Despite its old age, (email has been around for 47 years!) email manages to easily keep pace with newer digital technology like social media. 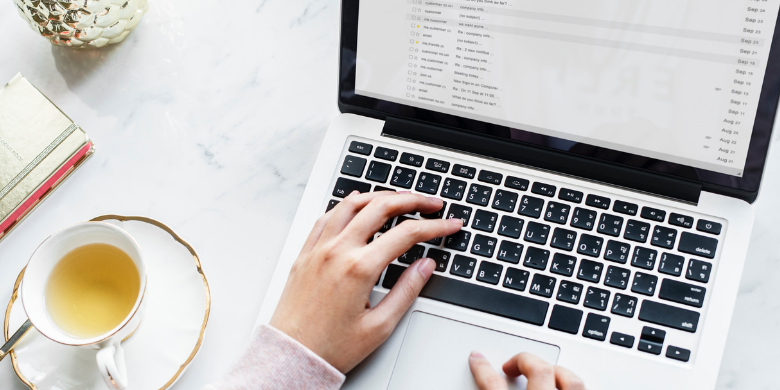 An email marketing campaign remains an effective way to reach out to potential clients, offer promotions to your loyal customers and provides resources that help you grow your brand reputation. It’s who you know: Don’t be shy about reaching out to your friends and family with a note saying you’re attempting to build the next Amazon and you could use their help getting the word out. Ask them to forward your email to any contacts they might have, with an invitation that makes it easy for their contacts to join your email list. Don’t forget to ask existing clients, too. Post a flyer or sign in your business location with info about how to subscribe, and make sure you hit on a few of the benefits they’ll receive by joining. Add mobile-friendly buttons: Make it easy for visitors to your website to subscribe to your email list, and don’t forget mobile. Your button should be user-friendly for mobile devices or you could lose nearly half of your opportunities. Utilize Facebook tools: If you’ve been putting some energy into social media engagement, use this to your advantage in building up an email marketing campaign. Facebook’s Join My Mailing List app allows your followers to click one button to subscribe. That’s pretty convenient. Dangle a carrot: A promotion is a great anchor for an effective campaign. Maybe your subscribers will receive a code for 15% off their first purchase, or maybe they’ll get access to a great piece of content that they’d normally have to purchase. Be sure to include some kind of promotional aspect to your subscription. Add value: Make sure your emails are not just a promotion followed by pushy sales tactics. You’ve had this experience: you click on a subscription box to get access to a 15% off coupon, but then every email you receive is all about the vest you browsed for about ten seconds. There’s no value there, and you’re likely to unsubscribe when these emails show up three times the first day you subscribe. Instead, consider the pain points of your audience and what type of content provides a solution. Maybe it’s not pain, but a controversial or interesting conversation happening in your industry. Include value in your email marketing campaign, or you’ll quickly lose your audience. When you do add value, you build a reputation as an expert, build loyalty among customers and you remain present in the minds of your audience members. That’s pretty motivating. Need help creating an effective email marketing campaign? Contact us at SJC Marketing to get started with your strategy.